Summary from back cover: Enzo knows he is different from other dogs: a philosopher with a nearly human soul (and an obsession with opposable thumbs), he has educated himself by watching television extensively, and by listening very closely to the words of his master, Denny Swift, an up-and-coming race car driver. WHAT I THOUGHT: A friend recommended this book to me when I told her about a YA fantasy book I’m currently writing. So while I began reading from a perspective to examine how the author constructed the book, I found myself completely absorbed with the stroyline in not-to-long. Stein does a masterful job at weaving in crap we face in life from the perspective of the family dog. And he does it in such a way that you can’t help but have your heartstrings drawn taut to the point of breaking several times. While there are many sad parts, just like in life, the reflections of mans best friend help convey what it truly means to be a friend and love another unconditionally…warts and all. Stein mixes in just the right measure of humor to keep the story moving along lest we get too depressed with what’s actually happening to Denny, the dog’s master. Some of this shows in Enzo’s analysis of life using racing as the analogy–You can’t keep your hands too tightly grasping the steering wheel of you can’t react to new concerns, always act for what you anticipate will happen so when it does, you’re still in control and not taken unawares and more. All in all a great read that I recommend to anyone who loves a good tear jerker every once in a while. 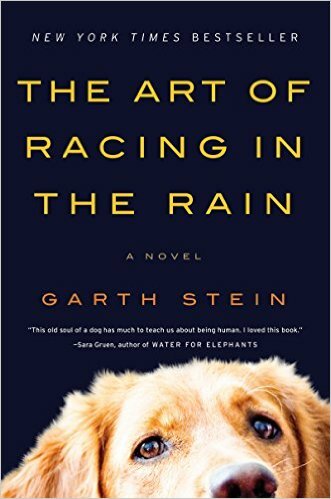 Out of popular demand, Stein also created a kids version of this book known as Racing in the Rain, so if you have middle graders, this would be content appropriate for them. I’m back after my few weeks away and I hope to be contributing fairly regularly again. I am waiting on some interviews in translation and I’ve been reading a fair bit, so I hope to keep the reviews coming. But first, this book was submitted for review a while back and for a variety of reasons it took me some time to get around to reading it, but finally, it’s here. Thanks to the author and to Lit World Interviews for offering me a copy of this book in exchange for an honest review. Robert Uttaro’s book is part memoir, part manual, part collection of testimonies, part panegyric, and part call to action. It is undeniable that Mr Uttaro, a volunteer with an organisation that helps survivors of sexual assault, is dedicated, enthusiastic, well-informed and keen to spread the word and give a voice to those who have suffered this most horrible of attacks. The book is a combination of the narration of how he became involved with the organisation (that is never directly named. I’m not clear if it is due to a wish for keeping the focus on the issue at hand rather than on one organisation in particular or due to confidentiality, or both), his training, the different roles he has partaken in throughout his years of work, and his attempts at collecting a number of testimonies of survivors. By the nature of the material and the experiences of those who agreed to take part, there is some repetition of points (issues like blaming the victim, blocking memories, the devastating consequences of such abuse) that is totally understandable. The testimonies don’t seem to have been heavily edited, although interestingly enough sometimes we get different versions of the stories (and one of the survivors contributing to the book explains that part of the training of those survivors who agree to share their experience is advising them on how to bring the main points home and how to keep the attention of listeners) and more detailed explanations, not so much of the abuse (this is not a scarily graphic book or even one that could cause easy titillation and reproduce the abuse in hands of certain individuals), but of the feelings it engendered on the survivors. Even with that, there are editorial decisions that could be questioned. Would a different ordering of materials be more effective? Would illustrating specific points with testimonies work better? 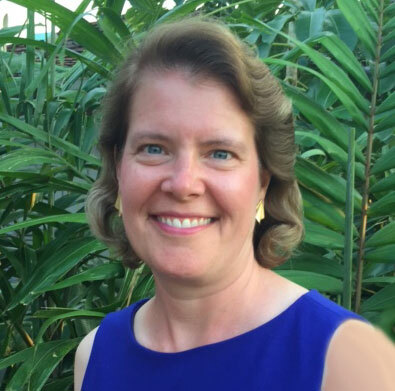 Would it be best to give the voice directly to the survivors rather than have an intermediary? 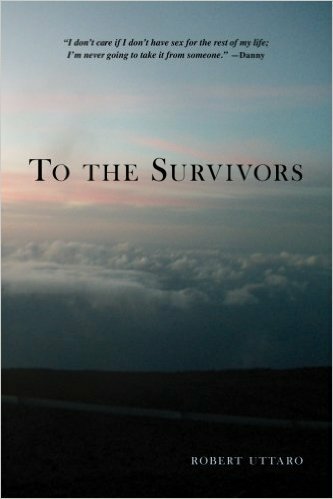 There are quite a few memoirs and direct accounts of survivors, is this book different enough? The combination of both, the experience of a volunteer who has not himself suffered abuse (or at least he is not aware of it, although he and others have questioned that possibility) and the testimonies of survivors, is perhaps the most distinctive aspect of the project. In a way, the book is personal for Mr Uttaro, and his level of involvement and emotional investment is clear. At the same time, the book is not personal enough, and I wasn’t sure I got to know Mr Uttaro other than through his involvement in the cause and some comments by the survivors (but these might have been minimised). As happens in documentaries, a decision is usually made of either including the person doing the documentary in the story, or letting events talk for themselves, trying to make narration invisible. I did not feel we fully get to understand Mr Uttaro’s journey or where he is coming from. He and the book have the heart in the right place and offer information and useful points, but I am not sure this is a book for general reading. It might benefit from adding links to organisations helping people who have suffered sexual abuse/assaults, including a section on general advice that could be used no matter the location, and perhaps, if the focus was going to be the methods and the ethos of the organisation (or others working on similar topics), adding a section about the history of the project, how it came about, and interviewing other people who are also part of the project: therapists, organisers, etc. I feel there might be the makings of several books here that could further deepen people’s understanding of the issues at hand, but perhaps that is a project for the future, and this book is a great start. (I have not included the usual rating system as it didn’t seem appropriate to the book and it is not always relevant to non-fiction projects). Thanks to the author for bringing us his book, thanks to all of you for reading, and if you’ve enjoyed it, like, share, comment and CLICK! The Imitation Game. Is normal always best? While we wait to see if any queries will come to the desk of the psychiatrist regarding characters or plot twists (we don’t really use divans), I thought I’d write about something else that I’ve been pondering about for a while. I went to watch The Imitation Game (that I really enjoyed. 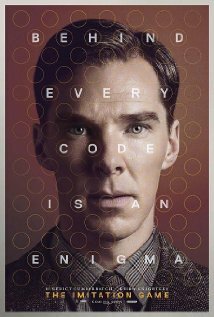 I’m not sure how accurate this biopic is to the life of Alan Turing, but the story is fascinating and Benedict Cumberbatch’s performance is extraordinary) and it got me thinking about how many characters in TV series (Sherlock himself, or the female Swedish detective in The Bridge, Sheldon in The Big Bang Theory), films and books are…different. One of the readers who left a comment in my post also observed the same. He noted that characters like Raskolnikov in Dostoyevsky’s Crime and Punishment are by no means your normal Joe, but it would difficult to make them fit into a standard psychiatric diagnostic category. Many of the psychopaths (that by the way, is not a psychiatric diagnostic category, although used to be a legal one in the UK before changes to the Mental Health Act) that grace our books and screens are also (hopefully) not quite the picture we have of our friendly neighbour. One possible explanation —apart from the fact that we’re always interested in people and places that are far from our usual environment— would be that some of them are shown as engaging in extremes of behaviour and going to the dark side, that maybe we have theoretically thought about, but would not cross over to. But I think with some of those characters, there might be something else at work. Of course, Alan Turing is not a character in a book (well, it is, but based on a real person), but if we are to go by his depiction in the film, he appears to have likely suffered from Asperger’s Syndrome (part of the Autism Spectrum Disorders), very high functioning. He is very single minded and obsesses over his work, with no evidence of any other interests, has very few social graces, and although we do not know much about his childhood, from his conversations with the only friend he is shown to have when he was a teenager, Christopher, he’d always been “different”, as he quotes his mother remarking on it at times. There is a fairly illustrative scene, when he is talking to his friend, and Christopher gives him a book on cryptography and code breaking. When young Alan asks what that is and Christopher explains, Alan asks how is that different from normal human interaction because (and I’m paraphrasing here): “People never say what they mean and one has to try and decipher what code they are using and what they are really trying to say.” Can you even imagine what it must be like to try and navigate a social situation without being able to read people’s expressions, and taking literally everything you’re told? If you’ve ever experienced extreme cultural shock on finding yourself in an environment that was completely alien, imagine that multiplied by…many. Maybe, just maybe, these characters put into context, or highlight, how our social interactions work, and how we take for granted and natural, codes of behaviour and speech that are nothing but. They might help us reflect on the true nature of our prejudices and the moral compass of a place, a time, and a society. Perhaps they might make us realise that we are the truly weird ones. The facts of Alan Turing’s life, his tragic death and his terrible treatment at the hands of the justice system of the time (being a homosexual in the post-war era wasn’t easy) only highlight that the “normal” society, the one that’s supposed to be flexible and easily adapt, makes no such efforts most of the time. If we can sometimes look around and appreciate something different after reading a science fiction book in which pages we recognise a distorted image of our world, we might do the same by offering a different perspective on our social world through some of our characters. Just saying. Children and young people with ASD have difficulties with both verbal communication (speaking) and non-verbal communication (eye contact, expressions and gestures). Some children may not be able to talk at all or have very limited speech. Some have good speech and language skills, but still have difficulty using their speech socially or to sustain a conversation. Their use of language may be overly formal or ‘adult-like’. They may talk at length about their own topics of interest, but find it hard to understand the back and forth nature of two-way conversations. Children and young people with ASD have difficulty understanding the ‘social world’, for example, they often have difficulty recognising and understanding their feelings and those of people around them. This in turn can make it difficult for them to make friends. They may prefer to spend time alone, or appear insensitive to others because of their difficulties understanding social rules and expectations. Children and young people with ASD often prefer familiar routines (e.g. taking the same route to school every day, putting their clothes on in a particular order), and tend to have difficulties dealing with change, which they find difficult and distressing. They may also have unusual intense and specific interests, such as in electronic gadgets or lists of dates. They might use toys more like ‘objects’ to line up, for example. They may have unusual responses to particular experiences from their environment such as tastes, smells, sounds and textures. For example, they could be very sensitive to the sound of a hair dryer, or the feel of certain materials against their skin. Some children show unusual repetitive movements such as hand or finger flapping or twisting, or complicated whole body movements. Thank you so much for reading if you’ve found it interesting, please like, share and comment. And if you want to CLICK, that’s fine too.